Can't install Antergos 64bit from live iso. i have EM64T PC. i have sony vaio laptop which i bought in 2007 .
its based on 64bit processor and EM64T intel technology. i can installl windows 10 64bit. i can also install antergos 32bit. but today i usb live booted in 64bit iso. but my cnchi is not opening when i click on install antergos . nothing happens. no error message. do antergos 64bit support EM64T SSE2 VT-X design ?? or is this bug in ur latest live image? sorry for my english and poor knowledge on this. sir please answer. I m noob. …my cnchi is not opening when i click on install antergos . nothing happens. 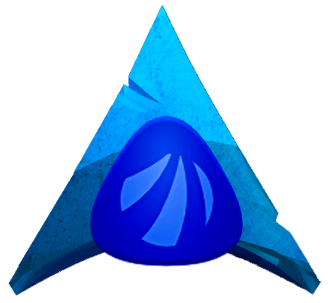 Antergos is aimed to facilitate Arch and its various DEs installation. Like other Arch installers do. Arch doesn’t need to gain new users. It is the perfect Linux. This is most buggy installer. I tried to install twice. All files downloaded n then installation failed with error. It’s shame antergos not even care to include “Suse image USB writer” app in their live ISO image. Now how to write minimal ISO to another USB in such a crisis. Make sure you have a good Internet connection. This is very important. Use Ethernet connection if needed. Let the installer update itself (it will only take a moment to do so). After it notifies you that it is updated, run it. sir i know how to use suse image writer. but the question i asked is why antergos developer never included suse writer app in this gnome live environment iso ? even manjaro, mint keep usb image writer in thier live iso for emergency. i searched in antergos gnome live iso but i cant find any usb writer application. only gparted i find . but no usb image writer app. i have tough time now coz i dont have 2 laptops. You misunderstood me. I never said you don t know how to use any image writer, did I? I just said that the Suse tool is included among the suggested iso wtiting tools in the wiki. To tell you the truth, I don t recall any such complaint as yours, but I guess there is always room for suggestions and improvements from us users. What did you write your iso with? Did you make an ISO MD5 checksum -to be sure about its integrity? Download and use the Suse writing tool from your live session. Let me ask you a question: What makes you so sure that if you were running a Suse written iso would have successfully completed installation and so you would not have 2 useless computers like now? Please, bear in mind that Arch & non-modifying Arch based distros need an active internet connection in order to install. This is because of its rolling nature. It keeps updated/upgraded daily, so from the time an iso is released to the time you use it many things will have already changed. Proceeding with installation means that you ll always get the very latest software. In case you could install it offline you would end up with a broken system. Another common mistake we do. We hurry installing it. But, wait! Try it first! Do you like its looks? Its performance? Does it sit well on our own hardware? Taking this into account, I really don t think there should be a notification in Cnchi that you need an Internet connection. Another common mistake I can point out. Doing some homework beforehand, so as to know what I am going to be dealing with. Having heard of a distro just isn t enough information. Especially when it comes to distros orientated to middle/advanced Linux users. Despite the fact that with Antergos you can have a ready-to-go Arch system in 15 mins, it s still Arch! It simply spares you the time to go through hard times reading beginners guides, taking notes, etc (do it some time, though, it s really fun)!. Finally, to give a full answer to you (though not right in somebody else s topic), I recall blaming Cnchi for your VLC not working. I m not sure if it is the installer s problem. I myself found it tricky and swapped it for KODI (think I read Debian are dropping it if I am not mistaken). Please fell free to give any feedback/suggestions/reports that could help the devs . And please be specific/detailed.